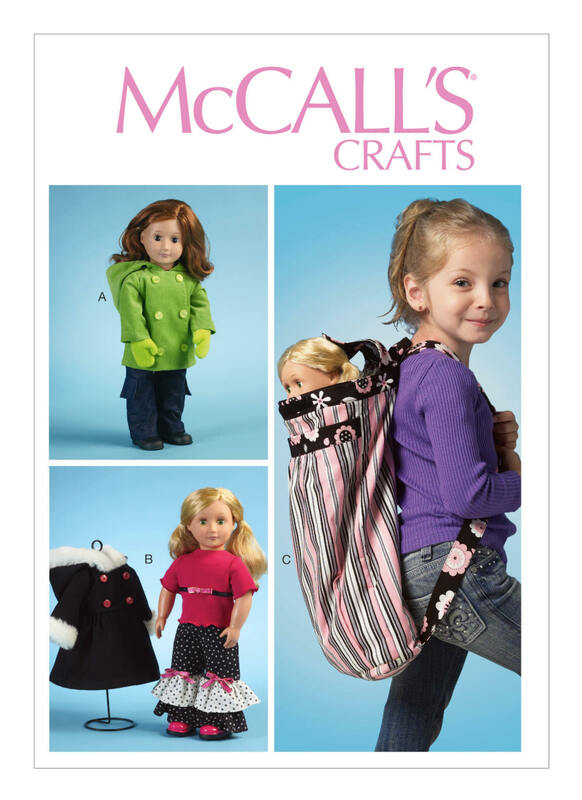 Package includes patterns and instructions to make 18" Doll Clothes & Backpack. Outfit A, B: Top, pants and coat. 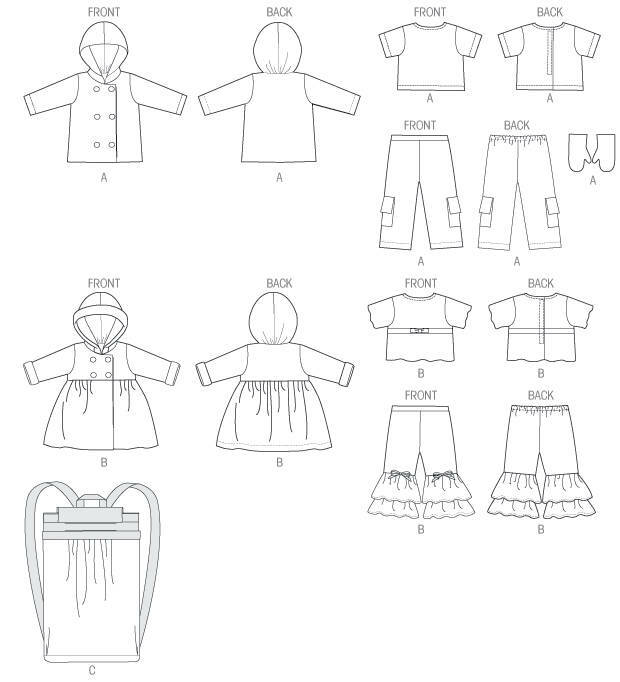 View B has contrast fur bands on coat and contrast upper ruffle on pants. Backpack C: 8" W x 18" L, contrast straps, bands, handle and flap.